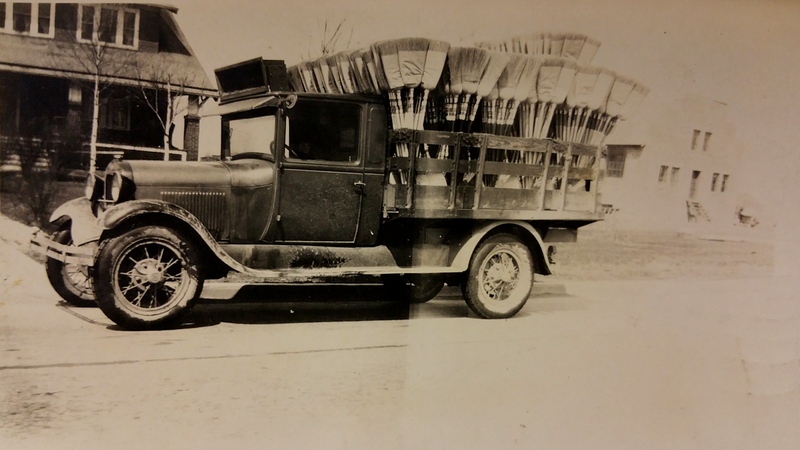 Joseph Engleman moved his broom factory from Hamtramck, Michigan to New Baltimore in 1919. 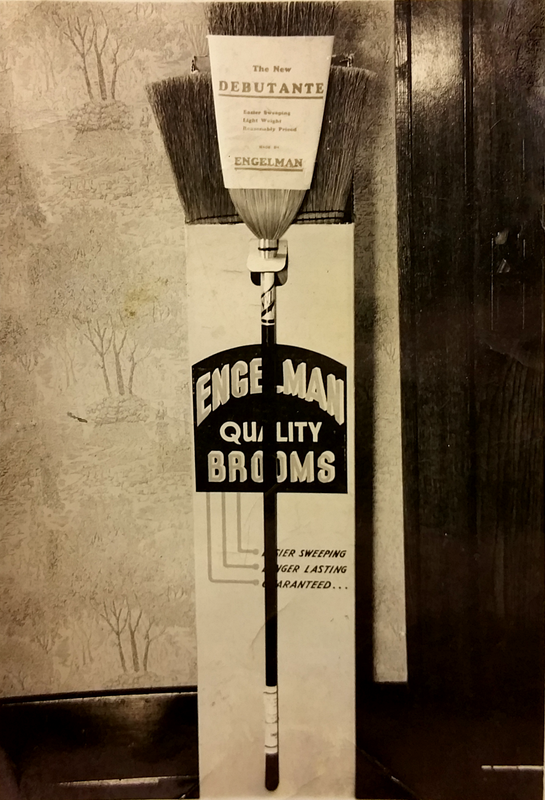 The Engleman Broom Company produced high quality brooms using lumber from Washington and southern Illinois broom corn. The company was one of the leading broom manufacturers in the United States. Incorporated in 1898, The main source of dairy products in the village was the New Baltimore Creamery Company, which pictured above shows Louis Schultz and Charles Marcero standing on the porch. After the creamery closed, it was converted into a dupex residential building where it still stands in 2015. The Anchor Bay Air Park was located on Ashley St, just north of Crapaud Creek. 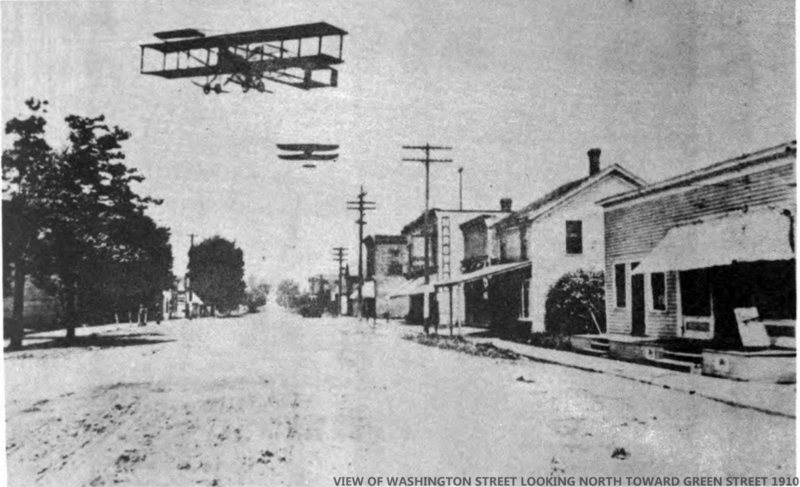 Shown here are planes headed from the park in 1910 as seen on Washington Street, looking north standing about halfway between Green Street and Alfred Street. Organized by Elmer Skinner In 1941, acting on the suggestions of the Catholic Study Club, the New Baltimore Public Library started in the cramped 450 square feet of office space in the city municipal garage. It's first books from it's 400 title catalog were checked out by Mayor Engleman on June 14, 1941. 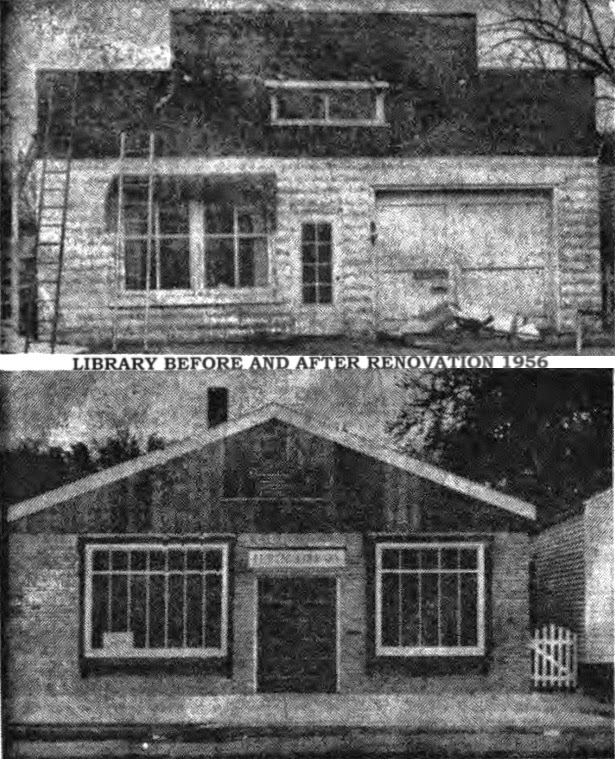 The library rapidly expanded, and by 1949 was using the entire building. By its 20th year, the library owned more than 6,000 books and was open 31 hours per week. In 1956, the aging building was remodeled inside and out at the expense of $2655.00. The building was rededicated on June 14, 1958, its 17th anniversary. In 1988, due to a growing population, the library moved from this Washington Street location to the renovated storage facility donated by local business owners and philanthropists, Stuart and Velma MacDonald. 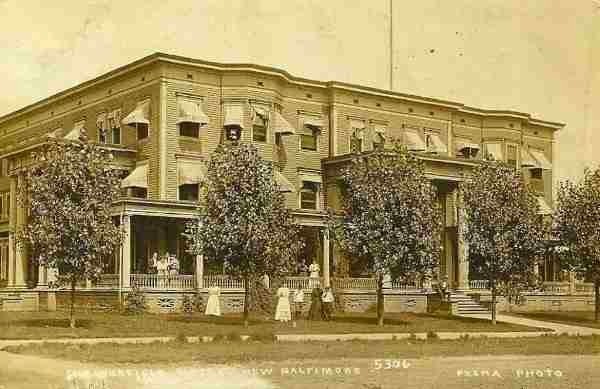 Originally the Evans Hotel, open in 1855 by John Evans, The New Baltimore Mineral Bath House was a popular destination outside of Mount Clemens for travelers in search of therapeutic mineral baths. 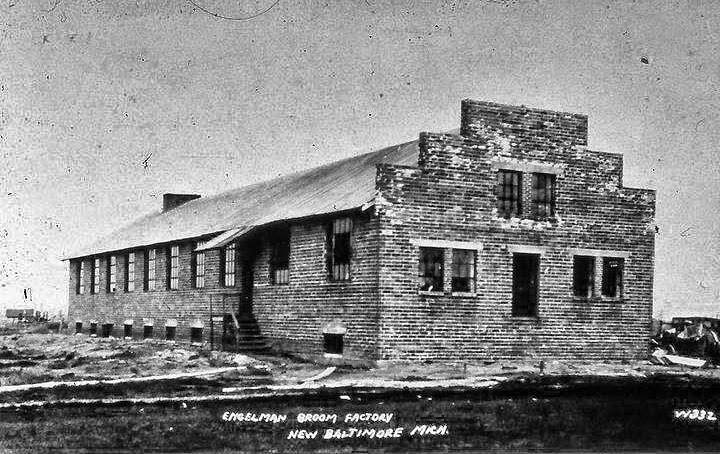 Charles Meldrum, owner of the Fountain Bath House in Mount Clemens, purchased the New Baltimore Mineral Bath House and shut it down to eliminate his competition. 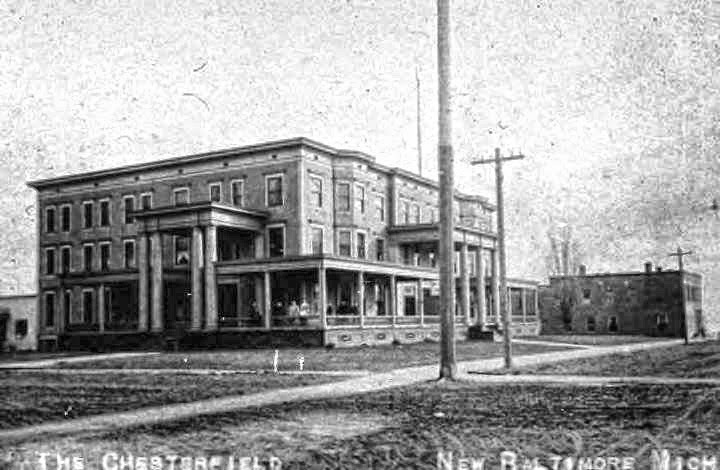 The three story Chesterfield Hotel opened in 1902 and was a popular vacation destination for those travelling into town on the interurban railroad. One of the hotel's most famous guests, Henry Ford celebrated at the Chesterfield with a muscrat dinner after setting a new land speed record on the Anchor Bay ice in 1904. Prior to the hotel, the Ben Bertha Corset and Hoop Skirt factory built in 1870 was demolished to make way for the construction of the Chesterfield. 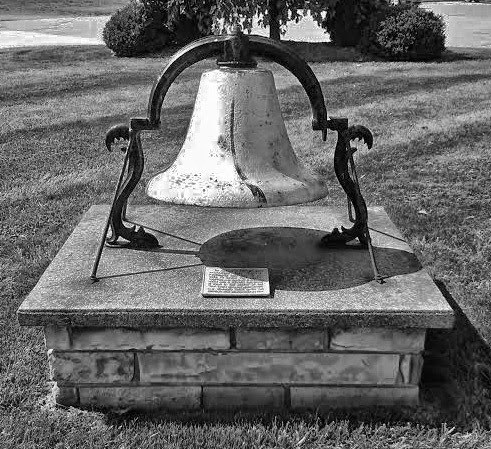 This bell was purchased by the New Baltimore City Council on August 28, 1890. It was used to sound fire alarms, curfews, and also rang at 12 o'clock noon and 6 pm daily. 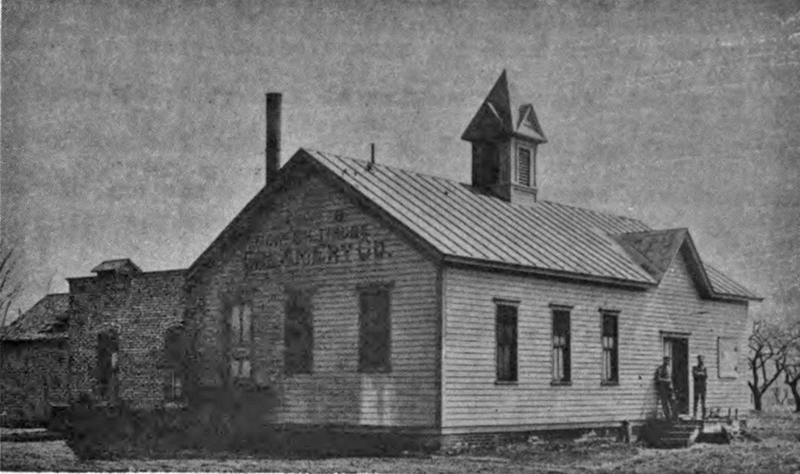 It was located in the belfry of the "Old" Town Hall on Maria Street (between Alfred and Green Streets) and remained there until the building was demolished in 1938. The second liquor license in Macomb County after the end of Prohibition was awarded to Lou Reidel who was operated his bar in the basement of the house across the street from this location. 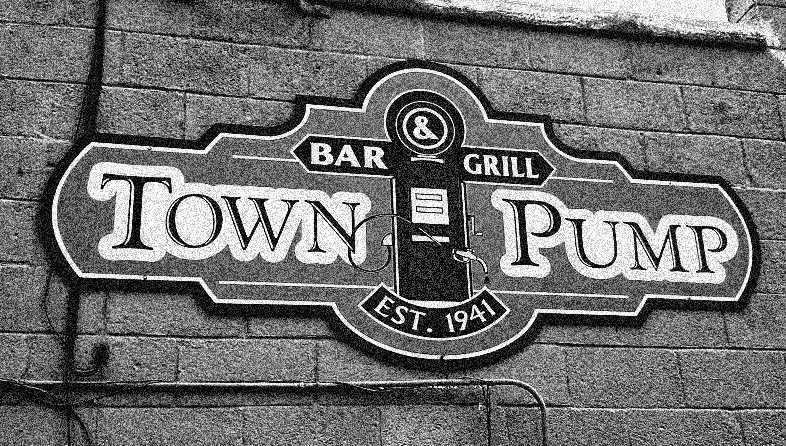 In 1941, he moved his business into his other establishment, the Town Pump. After an unfortunate gambling loss, Reidel lost his business and moved back into the basement across the street. 2015 New Baltimore Historical Society. Simple theme. Powered by Blogger.